Jeremy Hunsinger holds a PhD in Science and Technology Studies from Virginia Tech. At Virginia Tech, he was one of the founders of the Center for Digital Discourse and Culture. He attended the Oxford Internet Institute’s 2004 Summer Doctoral Programme and was an instructor there in 2009 and 2011. He was Graduate Fellow of the NSF Workshop on Values in Information Systems Design in 2005 and 2010. He was an Ethics Fellow at the Center for Information Policy Research at the University of Wisconsin, Milwaukee in 2007-2010. He was co-editor of the journal Learning Inquiry and has published in FastCapitalism, The Information Society, Social Epistemology and other leading academic journals. 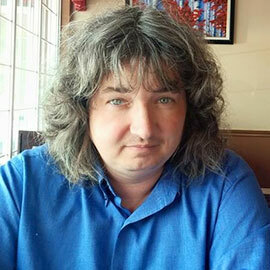 He recently also co-edited a special issue on Learning and Research in Virtual Worlds for Learning, Media, & Technology. He co-edited the International Handbook of Virtual Learning Environments and the International Handbook of Internet Research and has edited or contributed to several other volumes. His research agenda analyzes the transformations of knowledge in the modes of production in the information age. His current research project examines innovation, expertise, knowledge production and distributions in hacklabs and hackerspaces. He also currently is working on questions around darknets and public policy. He is currently developing a project on slow knowledges/slow technologies/slow mobilities which arises from recent research into the slow university movement. 2012 Wilfrid Laurier University Merit Award. 2010 Values in Information Design Fellow, NYC Workshop. 2007-2010 Junior Information Ethics Fellow, Center for Information Policy Research, University of Wisconsin, Milwaukee. 2006 Scholar Fellow Program (Educational Technology Fellow @ VPI&SU). 2005 Lifetime Membership Award. Association of Internet Researchers (second award). 2005 Graduate Fellow of the NSF Workshop on Values in Information Systems Design. 2004 Oxford Internet Institute. Summer Doctoral Programme. 2002 Lifetime Membership Award. Association of Internet Researchers. 2000 E-Learning Design Award for On-Line MA in Political Science. The Social Media Handbook. ed. by Jeremy Hunsinger and Theresa Senft. Routledge, NYC, NY. 2013. The Unconnected: Social Justice, Participation, and Engagement in the Information Society. ed. by Paul M.A. Baker, Jarice Hanson and Jeremy Hunsinger. Peter Lang Publishing. 2013. Putting Knowledge to Work and Letting Information Play: The Center for Digital Discourse and Culture (Second Edition) ed. by Jeremy Hunsinger, and Timothy W. Luke Sense Publishers, Rotterdam, The Netherlands. 2012. 238 pp. To see more of my publications, visit www.tmttlt.com/vitae.